There is a lot of hubbub in regards to Ethereum’s upcoming Fork (split) from its main Blockchain. Ethereum commands respect for providing a computing platform which is ideal for creating Smart Contracts. It’s alleged upcoming Fork is not the first time such a thing has happened. We do believe, that a Fork in a Blockchain is necessary for future growth and for the cryptocurrency in question to become even better. We wait with eager excitement and a dash of worry for the next Fork on the Ethereum Platform. The Fork in question, is predicted to occur on an exact date (19th January ‘18). There are many naysayers who believe that it won’t happen. Ether Zero, or so the new split shall be called ( if it does happen) has a long way to go to even earn a percentage of the fame and the user’s trust which Ethereum commands. Ethereum: A Platform Under Attack! Every Fork occurs for a reason. The first time it happened on the Ethereum Blockchain, it was due to an attack! To know more about the attack, one needs to know and understand what DOA was, and how it was manipulated into stabbing the Ethereum Blockchain in the back. The DAO ( Decentralized Autonomous Organisation) codifies the rules and the decision making structure in an organization. It eliminates the need for documentation and the people that govern it by creating a structure with decentralized control. A group of people that write the smart contracts (programs) which will run the said organization. There is an initial funding period, in which people add funds to the DAO by purchasing tokens that represent ownership aka Initial Coin Offering (ICO) to give it the resources it needs. People can then make proposals to the DAO on how to spend the money, and the members who have bought in tokens can vote to approve these proposals. This is a fool proof structure on how to run an organisation. What happened in the case of Ethereum can’t be called it’s fault. An overlook on their end, resulted in it losing $ 50 Million. While the DAO made everyday operations of things for an organisation very easy and user friendly, the protocols in place for an exit had a small loophole. This was exploited by a hacker. This is where they were swindled out of millions. Ethereum Loophole: A Week Link In the Chain! In case anyone wished to exit the DAO, all they had to do was send in a simple request. The process of splitting from the said Blockchain would then start. First, it gave the user back his/her Ether in exchange of their DAO tokens. The token retrieval was an important task, as they were limited in number and were meant to be used for the next person who wanted to be part of the Blockchain. They would then, register the transaction in the ledger and update the internal token balance. Easy peasy. A hacker kept exiting and entering the Blockchain until the time they had acquired Ether worth $ 50 Millions. He stored it on a ‘Child DAO’ ( A Child DAO is an address which is controlled by only a sole individual and who can deposit but not withdraw funds from it for 27 days) When the information of the hack was brought to focus, pandemonium broke through the entire crypto community. Even the value of Ethereum crashed. It also brought into focus that a change was needed in regards to the way of operation and its protocols. This was the reason for the first Fork in the Ethereum Blockchain’s history. Read more about the fall back of this hack which resulted in the rise of Ethereum Classic. 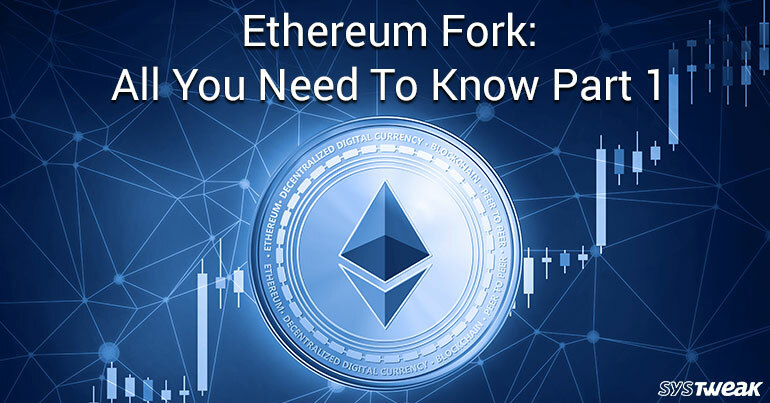 We shall also cover all that you need to know about Ether Zero in Part 2. Why Is Face ID On My iPhone X Not Working?